to inform management of the compliance status of the organization. However, differences in the implementation of GMP (Good Manufacturing Practice) and GCP (Good Clinical Practice) compliance programs may occur due to the different focus of each program. The GMP audit program is concerned with ensuring the identity, strength, safety, purity and effectiveness of the product or device, whereas the GCP audit program is focused on subject rights and safety, protocol conduct and data integrity. Communication between the manufacturing and clinical disciplines may be obstructed in part by the use of different terminology, or by not using terms in the same manner to appropriately compare audit observations. For example, use of the audit observation type “Validation” may describe an issue related to methods, equipment, packaging, or computer systems. Without an appropriate description, this audit observation type is too ambiguous to be useful in assessing, preventing or correcting compliance issues. “Investigational Product” is a common audit observation type used by clinical auditors, but this term is not sufficiently descriptive when relayed to manufacturing personnel as it does not describe whether the issue is related to the use, storage, labeling, or quality of an investigational product. The use of different audit observation terminology and separate reporting systems may also obstruct an accurate assessment of the impact of systemic compliance issues and weaker compliance signals may be lost because they are maintained and reported separately. 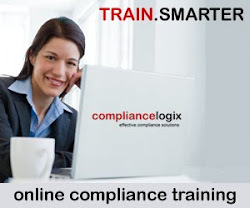 The accurate assessment of compliance with Standard Operating Procedures (SOPs), personnel training, vendor management, and complaints requires the ability to view issues across the organization, and the use of separate terms and reporting procedures may make it difficult to accurately quantify the total compliance risk of these activities or identify cross-functional issues that could impact investigational product integrity and/or subject safety. Information from inspections of raw materials, production activities, packaging, labeling, warehouse and distribution, and clinical use may not be communicated effectively if issues are reported and communicated separately. A shared quality system, using integrated audit observation categories, terminology and reporting can help to improve communication across functions and better meet the objectives of the quality audit program. It should be noted that integrating the GMP and GCP quality audit programs does not necessitate a particular organization of the Quality Unit, although it is recommended to use the same system for assessing, reporting and resolving audit observations across the organization. for manufacturing rather than clinical activities. Although the six-system model provides an excellent starting point, not all clinical audit observations fit well into the six-system model. create only one additional category for Clinical Systems (Figure 1). 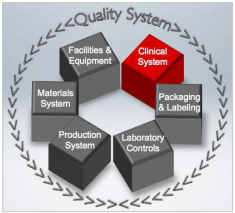 With the integration of clinical requirements into FDA’s inspection model, and the addition of a Clinical System to accommodate additional GCP observation types, the seven-system inspection model provides an integrated structure of audit observation categories to help achieve the goals of the quality audit program. The use of audit observation terms in the same manner to define, report and compare audit observations promotes improved transparency and communication between GMP and GCP functions, and a more accurate view of compliance across the organization to effectively assess, communicate and resolve compliance issues identified by the quality audit program.